Fiona and Cake! Omg!!!!!!!!!!!!!!!. I cant wait for this! Fiona and Cake on adventure time! Im not so sure how they are coming in an episode! They have all oppisite gender doubles! 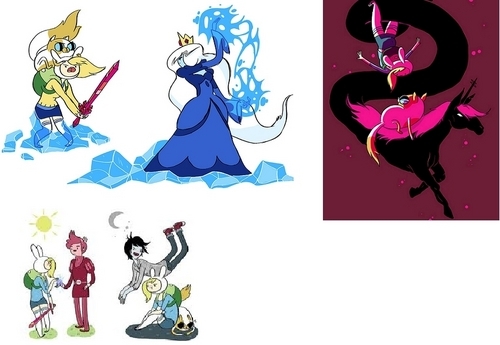 Ice queen,Fiona, Cake, Lord Monochromicorn,Marshall Lee,Prince Gumball. :). HD Wallpaper and background images in the hora de aventura com finn e jake club tagged: adventure time fiona cake prince gumball marshall lee ice queen.